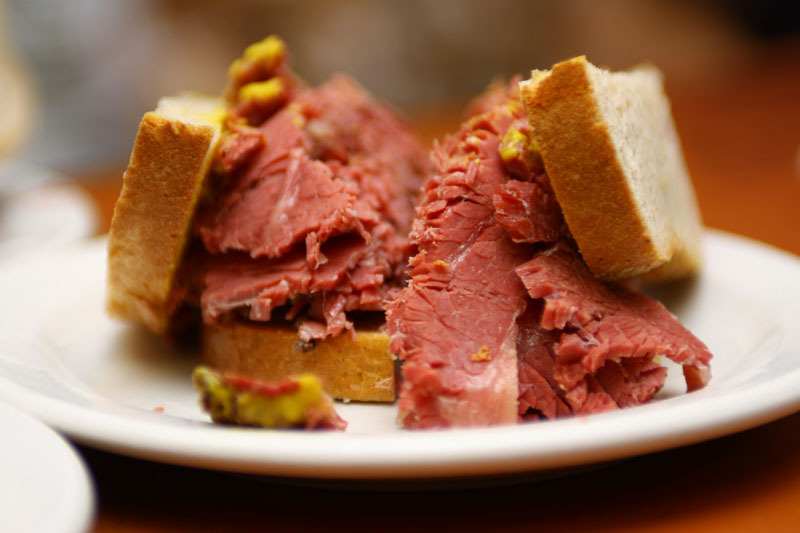 Have you ever heard of Montreal’s famous smoked meat? 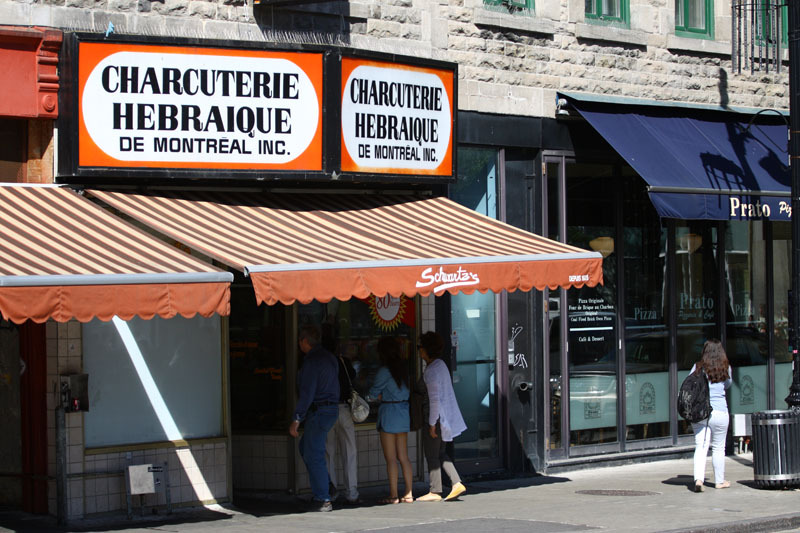 Over 80 years of tradition, Schwartz’s Deli is a Montreal classic, numbers can prove why Schwartz’s is the best: they sell approximately 20.000 pounds of smoke meat per week. Some people say that Schwartz’s is only a tourist trap but let me just say this: there’s a reason why it’s so popular, and yes, the smoked meat here really is that good. The restaurant was founded by Reuben Schwartz, a Jewish immigrant from Romania, in 1928. Since this date, the place has welcomed many celebrities and visitors from all around the world. But what’s their secret? They keep using the same recipe for 80 years now, and don’t think they use chemical products on their food. They simply use a blend of spices, 10-day marinating process, and daily meat smoking. 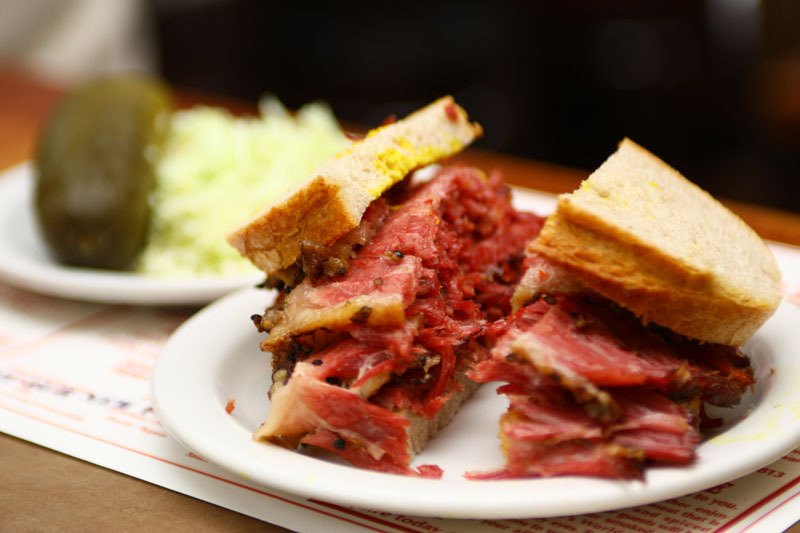 Quick tip – Ask for a smoked meat sandwich + pickles + french fries. You’re going to love it! Tip: Make sure to bring cash with you as they don’t accept credit cards. Also, this is a busy place so be prepared to wait outside.